CarGurus has 1,976 nationwide X6 listings starting at $10,900. Maybe you don’t want--or need--a boxy-looking SUV and the maximum cargo capacity that a boxy shape provides. 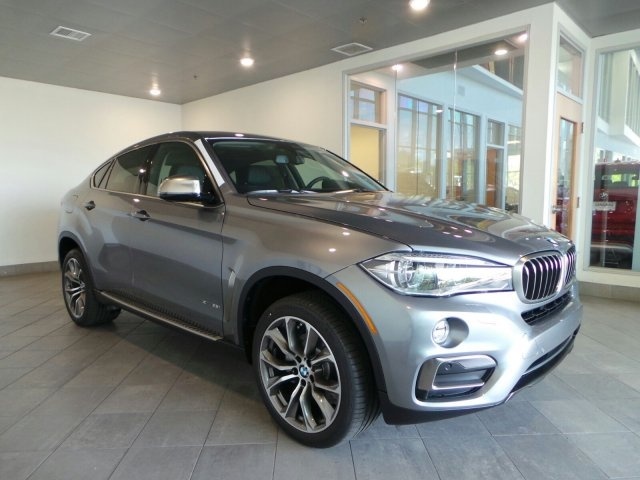 If what you’re looking for instead is something that's both larger than a sedan and engaging to drive, look at, and sit in, the 2016 BMW X6 may be the perfect choice. The 4-door, 5-passenger X6 moved into its second generation with last year’s redesign, so, as expected, it gets only minor changes for 2016. All three X6 trims will now come standard with a Bluetooth package that includes text-messaging capabilities, simultaneous phonebook sync for a second phone, and an extra microphone. And the top-end X6 xDrive50i version now comes standard with 4-zone climate control and a Harman Kardon audio upgrade with a year's subscription to SiriusXM satellite radio. There’s no mistaking the X6, with its coupe-like roofline and ground clearance. The trouble with this unique look is that the sloping roof cuts down on rear cargo space and headroom. But if you’re not carting around construction equipment, NBA players, or a pair of over-sized Rottweilers, the cargo space (53.9 cubic feet total and 20.5 cubic feet behind the rear seats) should be sufficient. And the 40/20/40-split rear seats allow for some creative cargo/passenger configurations. While the interior space of the X6 may give some consumers pause, the interior construction and features will not. The X6 may have a unique look on the outside, but the cabin is pure BMW elegance and quality. It has genuine wood trimmings, leather upholstery, just the right amount of chrome, plush seats, a refined instrument panel, and a massive 10.2-inch LCD monitor. The three trim options for the X6 are the sDrive35i, xDrive35i, and xDrive50i. The sDrive35i is the only rear-wheel-drive (RWD) choice, and its pricing begins around $61,000. It comes with a 3.0-liter turbo inline 6-cylinder (I6) that produces 300 horsepower and 300 lb-ft of torque, mated to an 8-speed automatic transmission with overdrive. The sDrive35i gets estimated mileage of 18 mpg city/25 highway/21 combined. The xDrive35i comes with the same powertrain as the sDrive35i, but gets slightly lower mileage (18/24/20) and costs about $3,000 more. But if you live anywhere near snow, BMW’s critically acclaimed all-wheel-drive (AWD) technology is well worth the extra money. Moving up to the xDrive50i and its $75,500 price tag brings a twin turbo, 4.4-liter V8 that cranks out 445 horsepower and 480 lb-ft of torque. It will also come with the 8-speed automatic transmission with overdrive and all-wheel drive (AWD), and it will get mileage of 15/21/17. The V8 can move the X6 xDrive50i from 0 to 60 mph in just 4.6 seconds, a rather impressive time for a 5,175-pound vehicle. The I6 trims go from 0-60 in 6.0 seconds, but don’t be confused by that gap--all three X6 trims move and handle remarkably well for their size. It’s not like driving a BMW sports sedan (how could it be? ), but the X6 still manages to be both athletic and comfortable. The sDrive35i and xDrive35i come with the same standard features (except for the AWD). Highlights from that list include adaptive auto-leveling headlights, heated wiper-fluid jets, a power liftgate, heated 10-way power front seats, dual-zone climate control, Bluetooth, navigation, cruise control, BMW ConnectedDrive wireless services with emergency assistance, integrated smartphone apps, and a 9-speaker sound system with USB and auxiliary inputs and 20GB of memory. The xDrive50i trim adds 20-way multicontour front seats, 4-zone climate control, a rear-view camera, keyless ignition, and a 16-speaker Harman Kardon sound system. All those features are also available as options for the I6 trims. The full list of available features, both as standalone options and in packages, is rather lengthy. You can get unique bodywork and interior trims, a head-up display, a heated steering wheel, heated rear seats, adjustable shocks, adaptive suspension, adaptive cruise control, a frontal collision warning system, lane-departure warnings, blind-spot monitoring, and more. Standard safety features for all X6 models include 4-wheel antilock brakes with brake assist and hill hold, electronic stability control, roll stability control, traction control, side impact beams, a tire-pressure monitor, dual-stage front airbags, and first- and second-row curtain airbags. What's your take on the 2016 BMW X6? TheHorror This car is simply absurd. BMW offers both more athletic, or more practical vehicles, for much cheaper. Users ranked 2016 BMW X6 against other cars which they drove/owned. Each ranking was based on 9 categories. Here is the summary of top rankings. Have you driven a 2016 BMW X6? Recently Had Engine Warning Light Show On Dash, Is This An Urgent Thing? ?